What’s that you say? You want more free stuff? 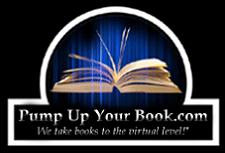 Need to get your “read on” but on the cheap? Want a book by a best-selling author that’s topical, playful, and yet poignant at the same time? Well look no further. 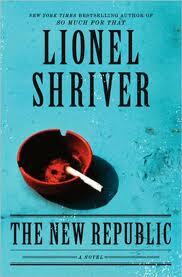 Harper Perennial is giving away one physical copy of Lionel Shriver’s new novel, The New Republic. Read on to find out a little more about this shiny new pretty. Acclaimed author Lionel Shriver—author of the National Book Award finalist So Much for That, The Post-Birthday World, and the vivid psychological novel We Need to Talk About Kevin, now a major motion picture—probes the mystery of charisma in a razor-sharp new novel that teases out the intimate relationship between terrorism and cults of personality, explores what makes certain people so magnetic, and reveals the deep frustrations of feeling overshadowed by a life-of-the-party who may not even be present. Edgar Kellogg has always yearned to be popular. When he leaves his lucrative law career for a foreign correspondent post in a Portuguese backwater with a homegrown terrorist movement, Edgar recognizes Barrington Saddler, the disappeared reporter he's replacing, as the larger-than-life character he longs to emulate. Yet all is not as it appears. Os Soldados Ousados de Barba—"The Daring Soldiers of Barba" —have been blowing up the rest of the world for years in order to win independence for a province so dismal and backward that you couldn't give the rathole away. So why, with Barrington vanished, do incidents claimed by the "SOB" suddenly dry up? A droll, playful novel, The New Republic addresses terrorism with a deft, tongue-in- cheek touch while also pressing a more intimate question: What makes particular people so magnetic, while the rest of us inspire a shrug? 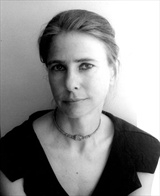 Lionel Shriver is a novelist whose previous books include Orange Prize-winner We Need to Talk About Kevin, The Post-Birthday World, A Perfectly Good Family, Game Control, Double Fault, The Female of the Species, Checker and the Derailleurs, and Ordinary Decent Criminals. She is widely published as a journalist, writing features, columns, op-eds, and book reviews for the Guardian, the New York Times, the Wall Street Journal, the Financial Times, the Economist, Marie Claire, and many other publications. She is frequently interviewed on television, radio, and in print media. She lives in London and Brooklyn, NY. 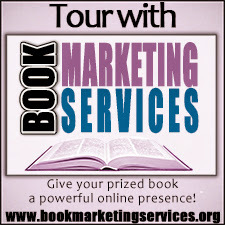 So if all that sounds like something you’d be into (and for free, no less), sign up using the Rafflecopter widget below. Giveaway ends May 3rd, 2013. Open to residents of the U.S. and Canada only. This looks like a fascinating book by a great author. I can't wait to check it out! Please add me to the giveaway challenge.